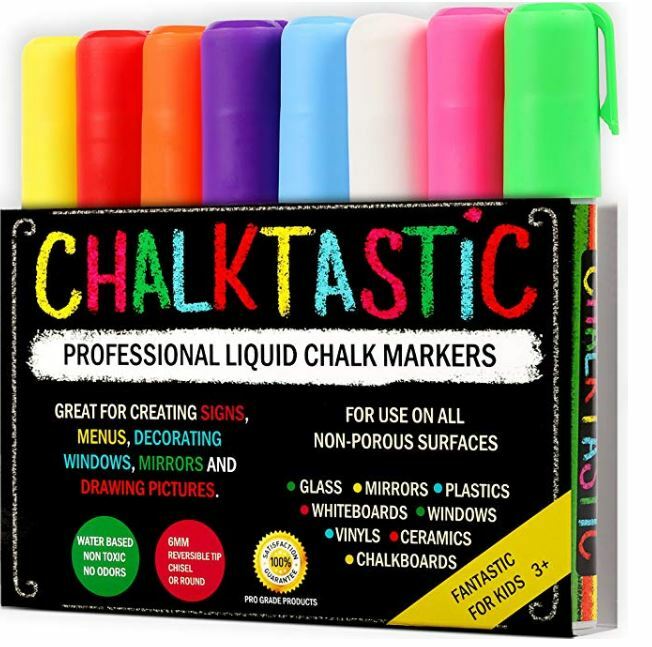 These Chalktastic Professional Liquid Chalk Markers are on sale for $11.67 shipped when you clip the 5% off coupon and subscribe and save (Retail $29.97). ChalkTastic Bright Liquid Chalk Marker Pens Pack of 8, high-quality, super-concentrated liquid chalk Ink that provides bright, vibrant colors each and every time. Great for Bistro Restaurant Cafe Supplies, Menu Boards, Bistro Boards, White board, LED Writing Board, Window & Mirror markers, Car Windows, Kids art, School work, Marking dates on food Containers, Ceramic tile & Mugs.